Cut and run is not an upcoming trend anymore, it’s been a problem for a few years now. Especially the expensive smartphones and latest tablets are popular targets. With the latest iPhone 8 and Samsung S8 on display a telco becomes a real target for shoplifters. iPhone 8 is an incredible expensive smartphone in combination with a definite ‘wannahave’ it should be secured in the best possible way on display. Gripzo anti-theft brackets will do that job. Gripzo is a deterrent to shoplifters. The interested shopper will barely notice the security bracket, they will simply ask shop staff to unlock the device they want to experience. 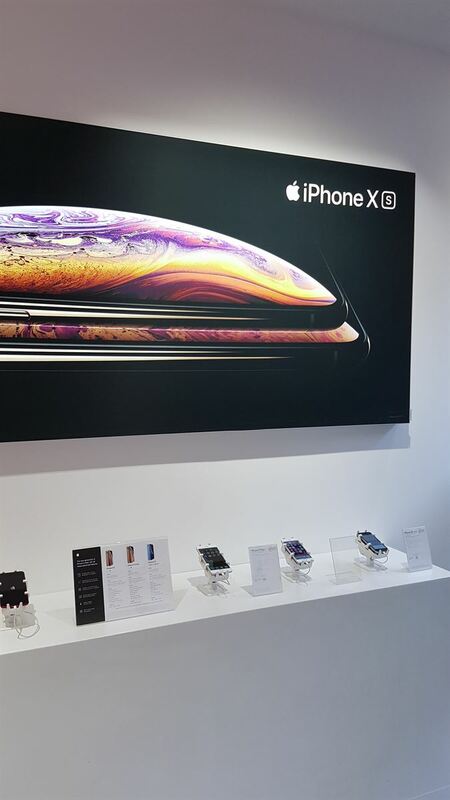 During such an experience store staff will have valuable interaction moments with customers once they have unlocked devices like the iPhone 8, iPhone Xs, iPhone Xr, Samsung Galaxy edge S8 or S9 or the latest Huawei mate 20 Pro. Gripzo anti-theft brackets are universal and fit all modern smartphones. Because Gripzo grips offer the one-size-fits-all feature, the ROI is very good. They can be used over and over again. Special XL grip sets are available for the latest XL devices.